Early on in Prey, I accidentally killed a main character. The game let me keep playing until I lost my nerve and reloaded. Later, I jerry-rigged my way off the space station of Talos I well before I was supposed to. Prey let me get there. It figured I knew what I was doing. At its best, Arkane’s latest game is less a follow-up to 2006's Prey and more of a spiritual sequel to 1994's System Shock and successors like 2007's BioShock. The Shock games are known for establishing a strong sense of place and empowering players to explore and fight their way through that space in myriad ways. This is the new Prey as well. This new game is a set of interlocking systems that gives players freedom at every opportunity. It’s ripe with moments that will be unique to every player and is a game that shines when you take your time and forge your own path. It falters when it tries to tell you a story, but you only have to listen to that tale as a last resort to see the end. It’s better when its flexibility is letting you make stories of your own, like that one in which I got out of the space station early—and then died. Prey is a first-person game in which you play as Morgan Yu, a scientist whose gender you choose, though the choice has little impact on the plot. Morgan and their brother, Alex, are part of the family that runs TranStar, the powerful corporation that repurposed Talos I from a prison ship for aliens called Typhon into an expensive station to research them. TranStar has been experimenting on the Typhon to develop neuromods, which enhance humans’ abilities. These neuromods can let people develop musical talent or even live longer. The game opens with Morgan running some tests before being allowed to board Talos I. An escaped Typhon quickly interrupts the experiments, and then we get our first plot twist. Soon enough, we’re walking Morgan through Talos I, which has been overrun by Typhon. The voice of someone named January is in our ear. Prey takes place in an alternate future, one in which Kennedy wasn’t assassinated, and even though you’re on Talos 1 in 2032, the station is a mashup of designs from different periods. An employee break room is full of 60s retro fridges and coffeemakers. In the medical center, there are futuristic robot doctors and experimentation chambers controlled by wide touchscreen computers. Art deco prints and posters line the walls, and a giant brutalist sculpture hangs ominously over the lobby. Off to one side of the lobby is an exhibit that tells the story of Talos I and TranStar: there’s a row of historical posters that tell a sanitized tale you’d see in any museum. Across from it a sharp, threatening neuromod injector pierces an open-mouthed human skull. Talos I is an expensive, complicated place, one that needs to attract investors and liveaboard employees alike. It needs to appear serene and powerful on the surface, while hiding the dark, out-of-control reality that lurks underneath. This tension creates the backbone of the game, from the plot to the enemies. The most obvious analogy is the first Typhon type you encounter, the mimics. A glossy black mashup of a spider and Half-Life’s headcrabs, mimics can take the form of objects around them. This could easily be played for cheap jump scares, but instead it creates an atmosphere that is tense and foreboding. The mimics turn everyday objects into dread: a trash can rolling down the stairs by itself, three shoes on a locker room floor instead of two, an oddly-stuck object. Any of those might suddenly explode into a mass of waving tentacles. Mimics are hard to hit—worse if you flail and run out of stamina—and they’re deadly in packs. They create a memorable air of paranoia that infuses the game. As you progress through Prey the Typhon become tougher and less timid. Humanoid etheric phantoms split in half and morph around the room. Voltaic phantoms short lights and your equipment. There are other, even less human enemies, with their own attacks and weaknesses, but some of my favorite moments in Prey came from stumbling upon them for the first time and feeling my stomach drop as I whispered, “What is that?..” Prey introduces you to new Typhon right up until the end, and this makes turning every corner a stressful surprise. Combat isn’t Prey’s most compelling feature, though you’re given plenty of weapons for the job. The most useful and unique is the GLOO gun, which shoots a foam that lets you freeze Typhon in place so you can whack them to death with your wrench. 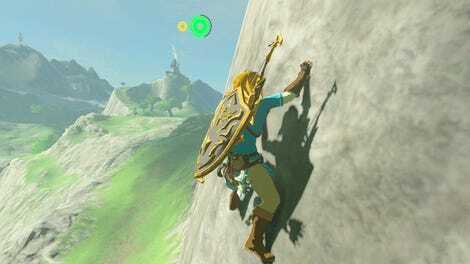 It’s as useful on basic mimics as it is on the game’s most powerful enemy, and you can also use it to climb through the environment and escape combat altogether. Other weapons are the usual shotguns, pistols, stun guns, and EMP grenades, provided you can find them in the first place. I found a shotgun early on, while my colleague Jason Schreier never got one. Ammo is equally random, especially if you don’t find the blueprints and fabrication stations necessary to create your own. I ran out of ammo with tedious frequency, while my colleague Kirk Hamilton has spent most of his game with his inventory overflowing with bullets. This open-ended sense of possibility creates enemy encounters where you’re going up against your own choices as much as the game’s AI. The game is aggressively difficult, and taking out multiple enemies is less an exciting challenge and more of a chore. But the situation surrounding the combat feels personal as it involves unchoreographed situations you make yourself based on how you play. A fight is tough because you used all your ammo in a previous room, or because you don’t have a powerful weapon. You beeline toward an area the plot hasn’t brought you to and face enemies you aren’t equipped for. You get yourself into your own messes, which means you, rather than the game, have to get yourself out of them. You can also fight the Typhon by injecting neuromods that give you access to skills. Some of these skills are what you’d expect: hacking, increased health and stamina, the ability to upgrade weapons. Later, a device lets you use Typhon powers, which you unlock by researching the enemies that lurk around Talos 1 a la Bioshock’s camera. These include the ability to turn into objects, push enemies back and damage them with a kinetic blast, or create phantoms to fight for you. While the more advanced ends of the skill tree cost a lot of neuromods, they’re plentiful and you can craft them yourself. I never lacked for them. Late in the game, I had more neuromods than I knew what to do with. There’s a moral quandary at the heart of the neuromods involving how much of your humanity you will retain. Characters in Prey periodically remind you of this. I didn’t struggle morally as much as I did mechanically. If you install too many Typhon powers, Talos I’s security will turn against you. I didn’t want this. I’d developed a habit of hiding behind turrets that I didn’t want to give up. But I wound up choosing to install some neuromods to get me into new areas or clear the way for places I wanted to go, thinking of them in terms of navigation and stealth rather than combat. It was not at all a moral decision. Screw morality when you can literally embody video games. Navigating and exploring Talos I is by far Prey’s best feature. Why fight when you can slip into a hidden air duct to avoid combat and go back to tackling a list of sidequests at your leisure? The game leaves it up to you to decide what you want to do with every locked door. You’ll rarely find an easy way in, but there always is one. If you don’t have the right keycard or code, your route around might be much more circuitous, all depending on how you’re playing. You can break a window and use the dart gun to pop the door button; morph into a coffee cup and slide through a gap; hack a computer console somewhere else for the code; or find an alternate route rooms or even floors away. With one or two exceptions, you can get into anywhere with any power at your disposal if you’re patient enough. Oftentimes you’ll find a keycard or door code on the other side of the station, and you can backtrack to investigate or keep going toward the end. Prey doesn’t funnel you. You’re more or less free to explore the entire station in whatever order you wish, including the outside. Unlocking airlocks to certain areas is a kind of fast travel, if drifting slowly through space counts as fast travel. It’s useful if you want to avoid traversing certain areas again and again. Despite the attention lavished on the environment, I never had a really great sense of how the whole station fit together, even when viewing it from space. Long loading screens between areas further break up the flow. Areas feel complete, but I wished moving from the hub area of the lobby to the bowels of Talos I’s power plant felt more seamless. Several timed sidequests required careening through different station areas. I skipped them. I didn’t want to deal with load screens and my own fuzzy conception of Talos I’s layout. Individual areas feature maps that are immensely helpful. Nevertheless, I backtracked constantly. I backtracked to use the recycler and fabricator in Morgan’s office to turn the junk I’d looted into ammo, to retrieve a weapon or piece of information I learned about while exploring somewhere else, or just to soak in the atmosphere of an area I wanted to spend more time in. Curiosity is what moves you through Talos I and through Prey itself. There’s a distinct sense of your own in-the-moment journey that’s more compelling than the game’s scripted plot. In the early game, the main story is slow. Later, things grow more limited and action-packed. Between that you can go anywhere you can work your way into. Prey expects you to, but it won’t help you do it. The game’s plot has twists and moral choices and features characters who dole out errands. All of this felt like a chore and an unwanted distraction from my self-directed adventures. This was especially true when I encountered other characters. For much of the game, you learn about the people who inhabit Talos I by reading their emails and discovering audio logs. It’s a standard delivery method for video game exposition, but I loved these illicit peeks at the inner lives of the game’s characters, the freedom to fill in their personalities in their absence. When I actually met them I was disappointed to find that they were just video game NPCs who stand in place and ask you to do things for them. Whether or not you take them up on their quests depend on how you feel about them based on previous information you might have gathered. As with everything, Prey makes little effort to direct you. I let a character die because I knew Morgan didn’t like them, but another player might never have found that out and might have saved them, opening up a sidequest I missed. I didn’t like other people being on the station, asking me to be responsible for them with the kinds of fetch quests I’d seen in other games. I didn’t want to fetch their medicine or find their wedding ring. When Prey focuses on Morgan’s interactions with the crew, the game becomes busy and generic. Its overall story just didn’t grab me. Its ending was predictable. The highlight of my game of Prey took place about 12 hours into my 30-hour playthrough, when I first made my way through the arboretum into the crew’s quarters. There were enemies in the arboretum, but not too many. It was full of lush trees and a view of space through its vaulted glass. It was almost peaceful, and it was such a unique, strange area that I spent a while hiding in a tree just to take it all in. As the game loaded into the crew quarters, I came face to face with a terrifying, unavoidable enemy. I ran around the crew quarters in a panic, screaming out loud as I encountered more enemies at every turn. At one point I used my mimic power to disguise myself as an ashtray. What followed was two tense minutes of Typhon lurking around me, pacing over me while they slowly caught on to my trick. It was probably the most frightening thing I’ve experienced in a video game. I had to turn the game off and take a walk to get my heart to stop pounding. From there, I explored crew quarters in meticulous detail, creeping into each and every room, handling enemies and following an adorable plot thread about a Dungeons and Dragons game. I was excited to ask my colleagues how they’d handled the area, but as we talked, I realized we’d all had completely different experiences. Kirk, armed to the teeth, found it a breeze; Jason was in there pursuing a main plot point I hadn’t even gotten to yet. Jason had met the enemy that scared me so badly in the arboretum. I knew what it was because I’d seen it in the hardware labs. Kirk hadn’t even heard of it. We were all playing the same game, but we weren’t. The worst version of Prey is the game its ending thinks it is, an action-y game with stealth elements about humanity and moral choices. 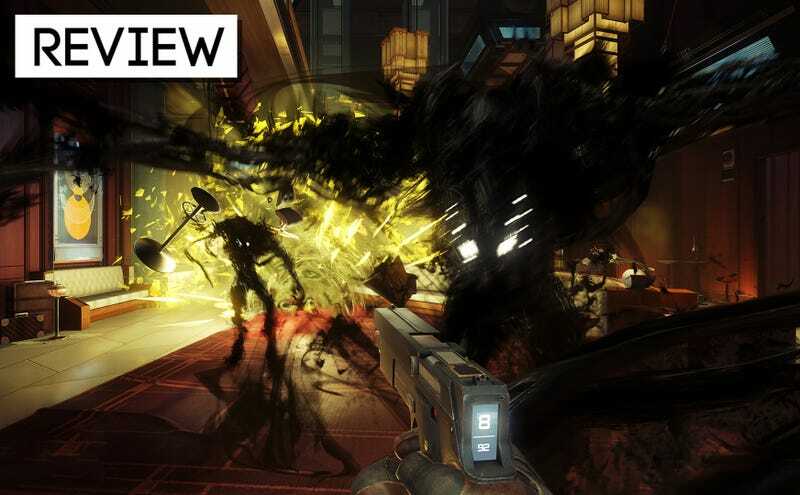 The best version of Prey is the game that happens in between, one where you ignore its plot completely, take your time to explore every cranny, and hide in a tree to look at the stars. It fails itself when it tells you what to do, but you have plenty of opportunities not to listen to it and have a great time in the process. None of these links are mimics. Maybe.